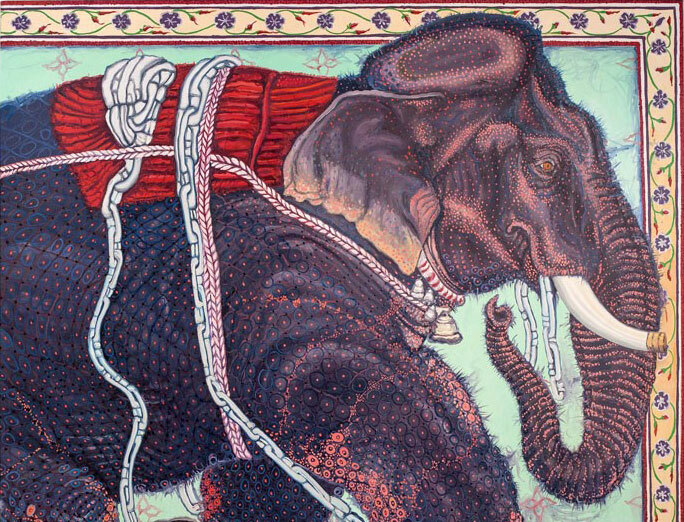 TEN ELEPHANTS explores my interest in Asian elephants and the way they are depicted in Indian Muhgal Dynasty miniatures. 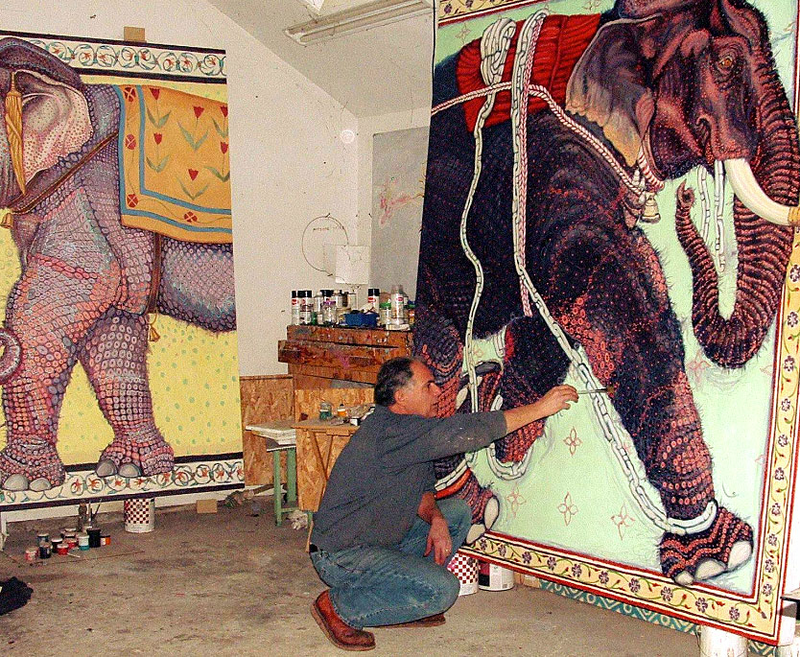 Artist John Recco lives and works on a 200 year old farmstead in Hoosick, NY, located in the Hudson Valley region making paintings in his converted barn/studio. His work explores themes on nature, art history and childhood memories and how all these subjects overlap and relate to his everyday life in this bucolic place he has called home for the past thirty years. Copyright 2005-2018 © John Recco, all rights reserved.